Cary, NC – We sort our recycling every week but do you think about recycling your coffee grounds? Cary High School is starting a program to reuse coffee grounds to help grow plants and they are getting help from a store that makes a lot of coffee each morning. The McDonald’s on Walnut Street is one of the first franchise locations in North Carolina to join in with the Good Neighbor, Good Grounds program, which donates coffee grounds to create fertilizer or compost for gardens. 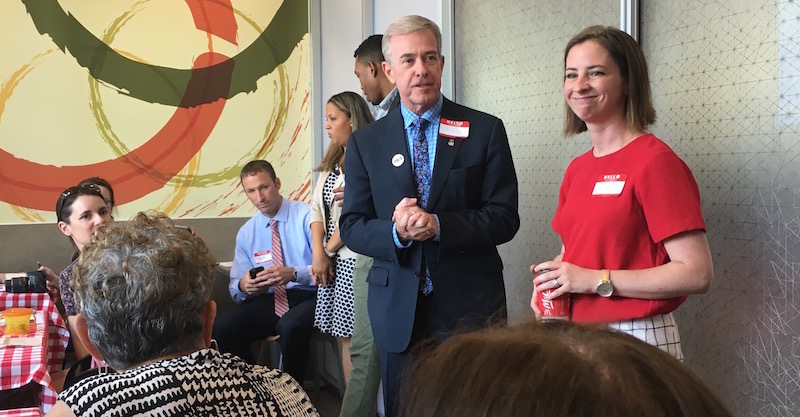 Ric Richards, franchise owner of Cary’s McDonald’s stores, said the idea came from looking for ways to connect the business with groups in Cary. An average McDonald’s store goes through more than 200 pounds of coffee in a week and in Cary, those grounds will be donated to Cary High School for use in their garden. If you are familiar with the McDonald’s on Walnut Street, you will know its unique building design. That is because it is one of two LEED-certified McDonald’s in North Carolina, built to be environmentally conscious. Included in the McDonald’s is a solar canopy to generate power for the store, water-efficient bathrooms and kitchens and more, not to mention that most of the old McDonald’s was reused in the construction process after its demolition. The other LEED-certified McDonald’s is on Kildaire Farm Road in Cary, both of which are owned by Richards. “Cary has a highly educated community so I knew they would appreciate the work we put in to it,” he said. The Walnut Street location is actually the second store to become LEED-certified, with the Kildaire Farm Road store getting its commendation in 2009. And Richards said he was surprised with how much easier getting a second store was on Walnut Street in 2013. Richards said this attention to environmental care comes from wanting to be a good citizen of the town. And Richards’ McDonald’s stores engage in other forms of community outreach, such as “Coffee w/ A Cop” where people can talk openly and directly with Town of Cary police officers. “It’s about finding ways to connect customers with their community,” he said. The 1831 Walnut Street McDonald’s will be hosting partners at Cary High School, as well as local sustainability leaders and North Carolina Future Farmers of America Association representatives. This takes place on Earth Day on Saturday, April 22, 2017.